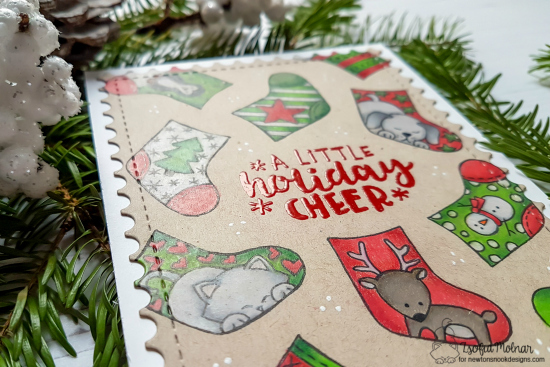 This holiday stocking card by Zsofia is too cute! 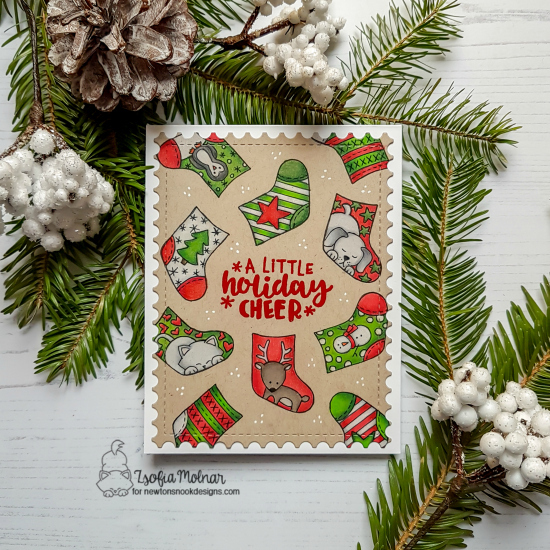 She created this card featuring all those cute stockings from our Holiday Stockings Stamp Set. She stamped all of those fun stockings onto a piece of kraft cardstock and colored them using Prismacolor colored pencils. Isn't this such a fun look!? In the middle she added the sentiment "A Little Holiday Cheer" from our Ornamental Wishes Stamp Set, embossed in red. She added some cute little pops of white using a white gel pen too. The outer postage edged die cut was created using our Framework Die Set. These stockings are adorable and your coloring is phenomenal! This is amazing!!!! I need this stamp set! love it on Kraft paper!